There are now 1 billion overweight adults around the world! Let that sink in. To give you an indication of how many people that is, just 200 years ago, that was the entire population of the planet. Also, over one-third of the American population is obese. This means that one in three people you see walking past are overweight. These are some shocking statistics and it’s no question why 45% of all Americans put weight loss as their New Year’s resolution every year. In this new life of fast food, technology, and sedentary lifestyles, the weight of the individuals in the population is ballooning. With all-you-can-eat buffets and take out foods which can be delivered to your door, gaining weight seems all too easy. But how do we lose it? And how can we do this quickly? You have that wedding in 5 weeks or that reunion at the end of the month. 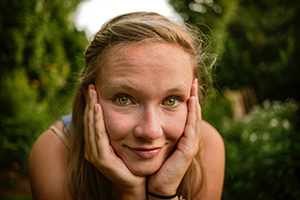 You want to lose weight to have confidence and have pictures are flattering. You’ve been told how to lose weight – it’s simply eating healthy and calories in vs calories out – but how can we speed up this process, make it as easy as possible and produce optimum results in the shortest space of time? 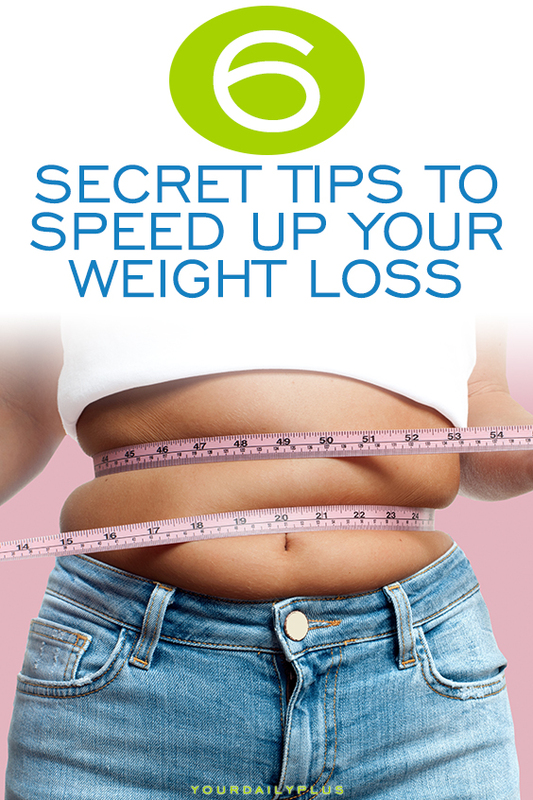 In the following text, we will discuss 6 ways to speed up your weight loss journey. It is important to remember that there isn’t a magic pill that will help speed up weight loss with no effort involved; it is all done with discipline, eating the right foods and exercising. However, these next few paragraphs will provide you with some techniques you can use which will supplement your weight loss and give you results sooner. A technique that is widely used in the fitness industry, this is a great method to allow yourself to feel full and satisfied despite being on a diet. How intermittent fasting works is that you have certain times that you can eat (an eating window), and certain time periods dedicated to fasting (fasting period). 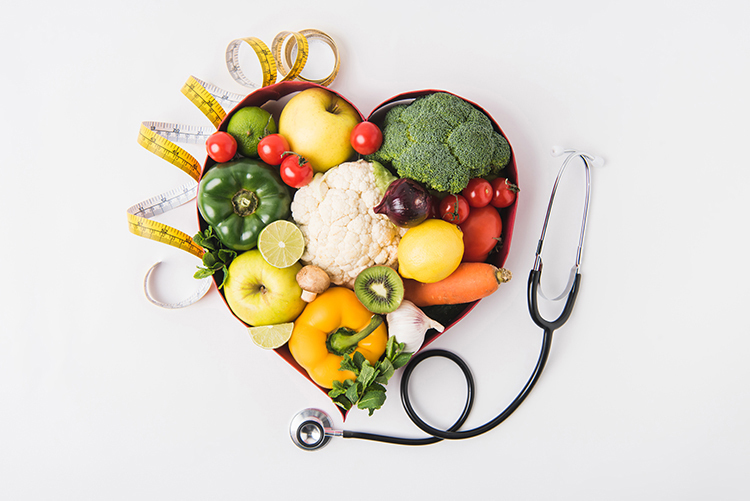 Extensive research shows that fasting creates better weight loss, better cardiovascular health, improves focus and concentration and can even prolong your life. Now, you may be concerned with hunger throughout the day that you are fasting. But don’t worry. The science shows that you become hungry when your body expects you to be hungry. This explains why, when normally eating three meals a day, at breakfast, lunch and dinner time you begin to feel hungry. Once you stop eating at a certain time, e.g. breakfast, the hunger hormone ghrelin will cease to be produced at that time, lowering your hunger levels. We will give a brief overview of each of these method’s, so you can get an understanding of the methods and can decide which would be the best method for you. The top of the list begins with alternate day fasting. As the name suggests, this is where you eat one day and fast the next. This may sound daunting – but don’t worry, it is much easier than it looks and provides great results. Not to mention the fact that you can eat whatever you want on your ‘feeding’ days, so it’s hardly a diet. This technique leads to a total calorie deficit for the week despite eating as much as you like on ‘feeding’ day leading to weight loss at a faster rate. It is important to note that the faster the rate of weight loss depends on how much, and the quality of foods that you eat on your feeding days. For example, eating 5000 calories on your feeding days will not result in significant weight loss, however, eating a diet of 3000/3500 calories on a feeding day, will provide results. The 5-2 intermittent fasting approach is similar to the alternate day method however instead of fasting every other day, you will pick two days in the week to fast. This makes it much easier for those who have busy or social schedules. The benefit of this technique is that you can choose the days you fast, so you should not pick the days where there are no social gatherings around food or days that are busy where you want food to fuel your day. When done correctly it will provide a calorie deficit for the week and speed up weight loss. The OMAD fasting technique is increasing in popularity as it provides multiple health benefits from prolonged fasting whilst allowing you to eat a large meal every day. For example, if I ate one meal every day at 5:00pm containing 1700 calories made up of whole, nutritious foods, I would be full and satisfied whilst also being a large calorie deficit. Many who choose this style of eating, skip breakfast and lunch and eat a large dinner so they can go to bed satisfied. This also allows the person to eat some ‘cheat’ foods in this meal, so long as they are not too calorific, and still see weight loss. Eat what you want and still see weight loss? Sounds good right? The warrior diet is fasting with an eating window of 4 hours. Now, this does not mean that you can binge for the whole four hours – you will not lose weight doing this! You can have two or three meals in this ‘feeding window’ and whilst in the fasting stage, your body will turn ketogenic – using fats for fuel. To speed up weight loss using this method, eat healthy, nutritious, high volume meals in your feeding window but also add in a small quantity of what you are craving to make this diet sustainable. Perhaps the most widely used, and easiest to stick to, method of this list is the 16-8 method. Which as it suggests, involves eating for eight hours and fasting for sixteen hours. This is ideal for those with a hefty schedule or a family. 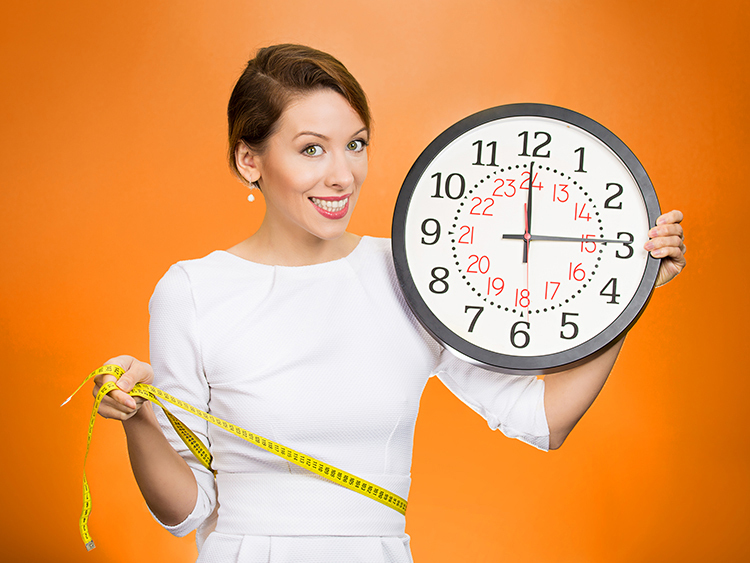 An example of one who partakes in this style of intermittent fasting would eat between the times 12:00pm and 8:00pm. This leads to a 16 hour fast which entails all the benefits that fasting evokes. This is a popular, easy way to reduce your daily calorie intake without having to disrupt your daily schedule. 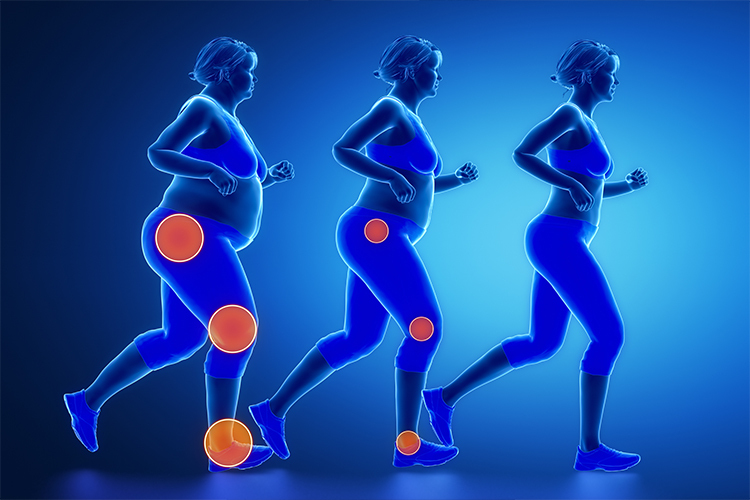 This is an area where research has been carried out because this is perhaps the closest natural source we have that is believed to supplement weight loss. In a 2009 study of 175 obese patients, the participants were split into three groups; one with no vinegar, one with one tablespoon and one with two tablespoons daily for 12 weeks. 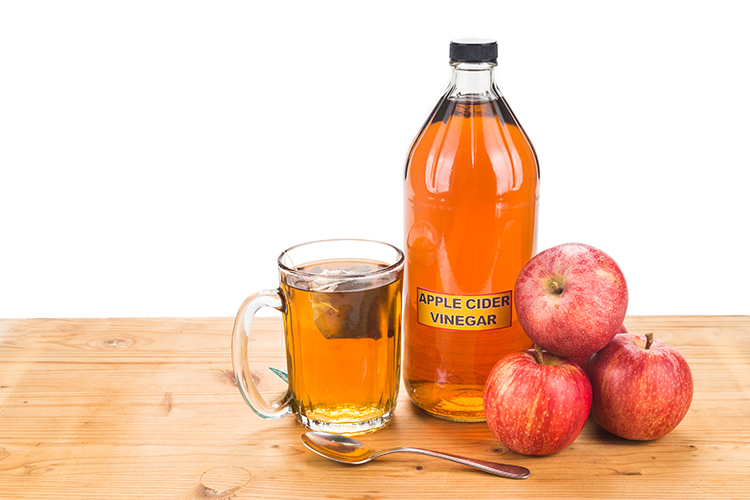 At the end of the 12-week study, results showed that the fat percentage and the weight of the subjects who had the vinegar were significantly lower, however, did not vary massively between those taking one tablespoon to those taking two. So just one tablespoon a day could speed up your weight loss journey and help you shed those pounds! This is one of my favorite ways to speed up your weight loss because you can get more multivitamins and fiber into your diet whilst also encouraging you to eat less food later in the meal. The idea behind this technique is to fill yourself up on high volume, nutritious foods before you begin to eat your meal of starchy and other high-calorie foods. This could be a particularly good method before you go out to eat, just eat a small salad before you leave to prevent you from gorging at the restaurant and keeping your weight loss on track. A simple trick that provides great results! One of the most underrated, simple steps to faster weight loss is getting those hours in bed! Sleeping is crucial to your body’s regulation and when you lose out on sleep, your hormones fall out of their normal cycle. The hunger hormones, ghrelin and leptin, end up not functioning as effectively as when you are well rested. When you miss out on those crucial hours in bed, ghrelin the hormone which indicates hunger, it released in larger quantities, making you feel hungrier throughout the day. Furthermore, leptin, the hormone which indicates satiety, is also affected by lack of sleep. Smaller amounts of this hormone are released meaning it takes longer for your body to feel satiated. Research shows that when you cut back on sleep for a longer period of time, the amount of fat loss is reduced by up to 55%! Long story short – Get your sleep! This is a great method to lose weight quickly and to reduce your reliance/addiction on carbs and sugar. The first this you need to do is work out how many calories you need to eat to lose weight. There are plenty of calculators online to do this. Then work out a schedule of high carb, low carb and no carb days. 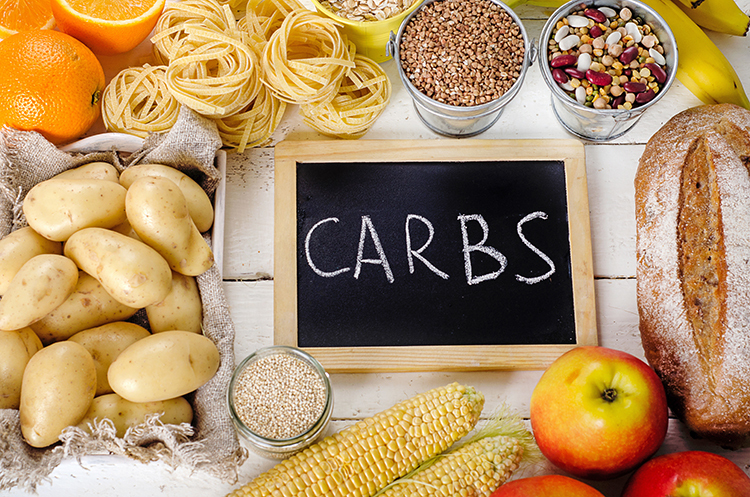 On high carb days eat slightly more than the amount you need to lose weight, eat slightly less than this amount on low carb days, and eat a lot less on no carb days. For example, if my calorie count to lose weight is 2000, then on high carb days, I would eat 2200 calories. Low carb would be 1800. No carb would be 1500. It is important to maintain the other food groups, protein and fats, throughout these days. This is possibly the most grueling and unappealing method on this list. Fortunately, it is also probably the most effective. After a taxing weight lifting/resistance workout, perhaps the last thing you want to do is 30 minutes of steady state cardio or 15 minutes of HIIT (High-Intensity Interval Training). But you should push through it because, after the workout, you would have depleted your glycogen stores, this means that in order to complete the cardio, your body will use fat stores to fuel the exercise. Resulting is accelerated fat and weight loss. 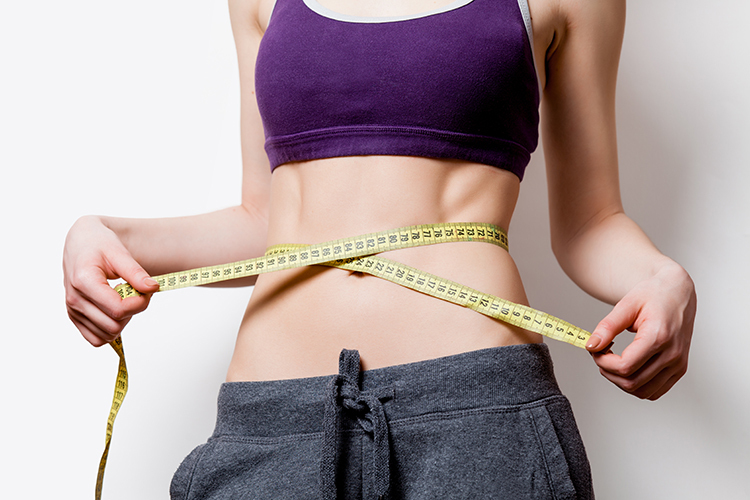 All of these methods are aimed towards the goal of losing weight. If you want, you can use as many of these as you’d like at any one time. I would recommend trying one at a time to begin with; however, once you get the hang of it, it’s all down to you. You should remember that dropping into a calorie deficit that is too steep is not recommended as it will increase your chances of putting the weight that you lose back on in the long term. These 6 methods are proven to speed up weight loss so what are you waiting for. It is now down to you to stick to your weight loss plan and complete your weight loss journey!